If your baby suffered broken bones during childbirth, you could have grounds for a medical malpractice lawsuit. While unfortunate, broken bones occur do during birth. A negligent action by the obstetrician, midwife, or a member of his or her staff often causes or contributes to the injury. If your baby suffered broken bones during childbirth, you could have grounds for a medical malpractice lawsuit. A broken bones birth injury lawyer from Newsome Melton can help you fight for and recover damages for your child’s broken bone birth injury. We have won compensation for many clients whose babies sustained injuries during childbirth. We want to put our resources to work for you. For a free case evaluation with a member of our staff, call Newsome Melton today: 855-633-2757. Not all childbirths are a smooth, seamless, or easy process. Complications can emerge from the time an expectant mother goes into labor to when the baby fully emerges. But doctors and the members of their staff, as trained professionals, have a duty to do everything possible to prevent birth injuries. Babies may receive broken bones and related injuries during difficult deliveries. There is no way to eliminate the possibility of every birth injury. But proper professional care can prevent or mitigate most birth injuries. If your doctor and his or her staff didn’t uphold a proper standard during treatment, we can recover damages for negligence or malpractice. We want to help you recover compensation for the damage you have incurred because of your child’s injury. To start the process by receiving a free case evaluation, call Newsome Melton today at 855-633-2757. A broken bones birth injury can lead to many complications for a newborn baby. This imposes a hefty financial cost on the parents, not to mention emotional pain and anguish. We want to help you recover damages for what you have been through. The responsible party or parties had a duty of care to you and your child. The party or parties did not uphold their duty of care. Your child suffered a birth injury because of this failure. You incurred losses from your child’s birth injury. First, we would show that the responsible party or parties had a duty of care to you and your child. This duty exists in any doctor-patient relationship. It extends to every member of the doctor’s staff involved in your treatment. Our job is to show indisputable evidence that this relationship existed at the time of your child’s injury. The second provision is a failure of duty. That is, the responsible party’s actions fell short of what was reasonably expected of them. We can call upon medical expert witnesses to establish the role of a reasonable person. They will review the evidence and testify as to what the prudent course of action would have been. Then, we can compare this testimony with the responsible party’s actions and highlight the differences. We would next show your child suffered a birth injury because of the responsible party’s failure. This includes providing medical records, test results, expert witness testimony, and more. Finally, we establish the economic and non-economic costs you have incurred. This can include expenses you expect to incur in the future because of your child’s birth injury. To receive a free birth injury case evaluation with a member of the Newsome Melton team, call us today at 855-633-2757. No matter what state you live in, a statute of limitations sets a deadline on taking legal action for your child’s birth injury. Let it pass, and you could lose your right to recover damages. We want to make sure that does not happen to you. If necessary, we can file a quick lawsuit to stave off the deadline. To find out more, and for a free case evaluation, call Newsome Melton at 855-633-2757. 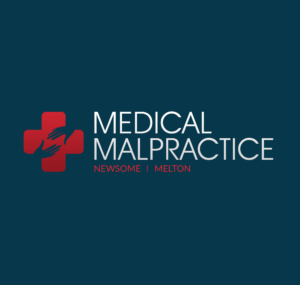 The broken bones birth injury lawyers at Newsome Melton are ready to go to work for you today. For a free case evaluation with a member of our team, call us at 855-633-2757.